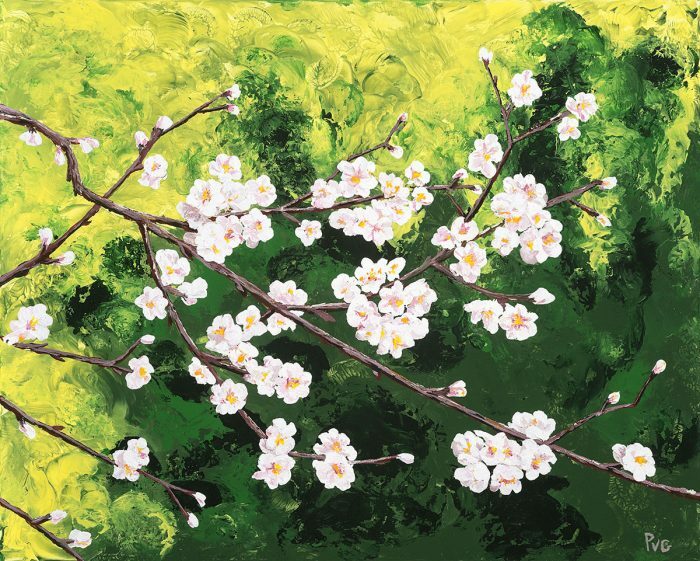 I love Spring and the thought that Spring is eternal saturated my thoughts and guided my hand as I painted this fruit tree in our back yard. Fortunately Spring turns into Summer and Fall harvest isn’t far behind. The cycles of nature are repetitions we count on and they give us great comfort.